Midtown is home to some of Atlanta’s favorite seasonal traditions. With the Nutcracker at the Fox Theatre, Lights in the Garden at the Atlanta Botanical Gardens, and a Christmas Carol at the Alliance Theater, people from around the region come here to enjoy holiday celebrations in the city. 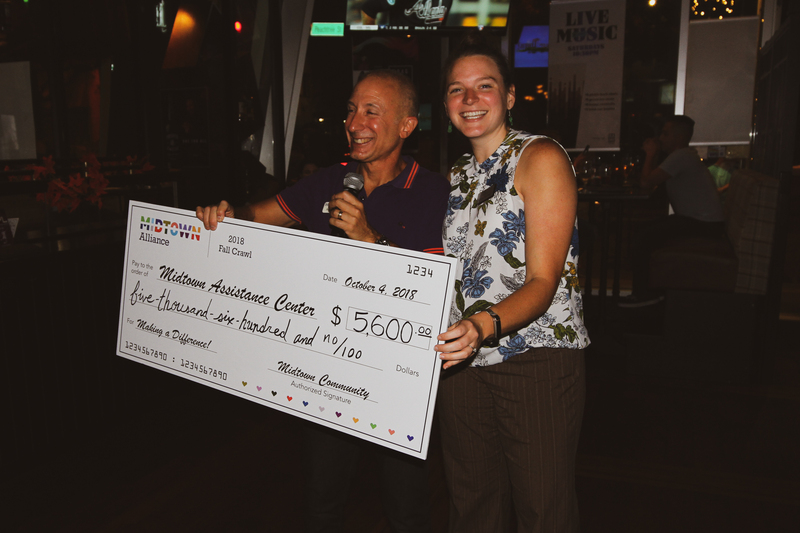 To extend the festivities onto the streets for all to enjoy, Midtown Alliance is putting up more than 100K LED lights, illuminating open spaces on Midtown corridors for the sixth year in a row. Lighting will adorn the district’s park and plazas – including Ponce Triangle, Margaret Mitchell House, 10th Street Park, 15th Street Plaza, and Pershing Point Park. 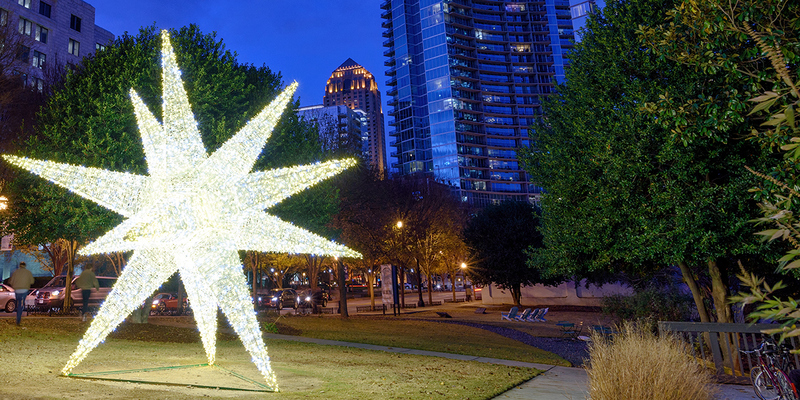 Last year, Midtown Alliance debuted a jumbo, 10-point Moravian star on the corner of 10th and Peachtree Street – towering more than 22 feet high and spanning 22 feet wide. In addition to the Moravian star’s return, more stand-alone stars will be displayed at the Margaret Mitchell House and the 15th Street Plaza. Installation of the lights and stars starts after Thanksgiving and will remain up until early-January. 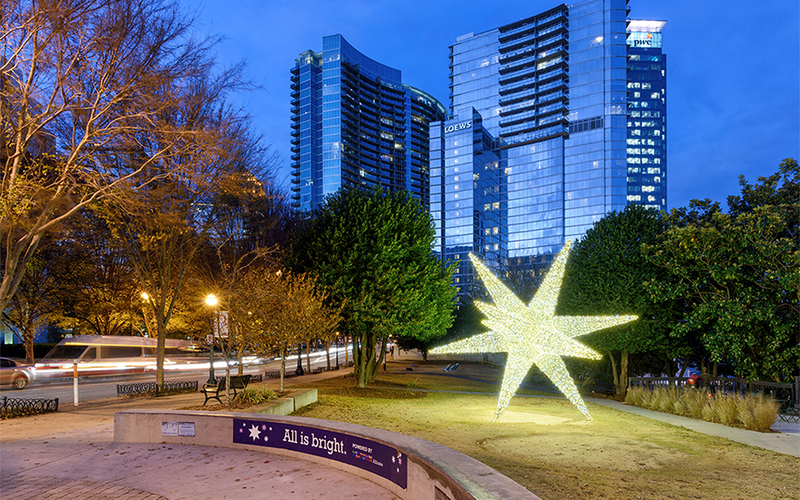 Grab some hot cocoa and take a stroll down Peachtree Street to enjoy the stars and festive decorations. 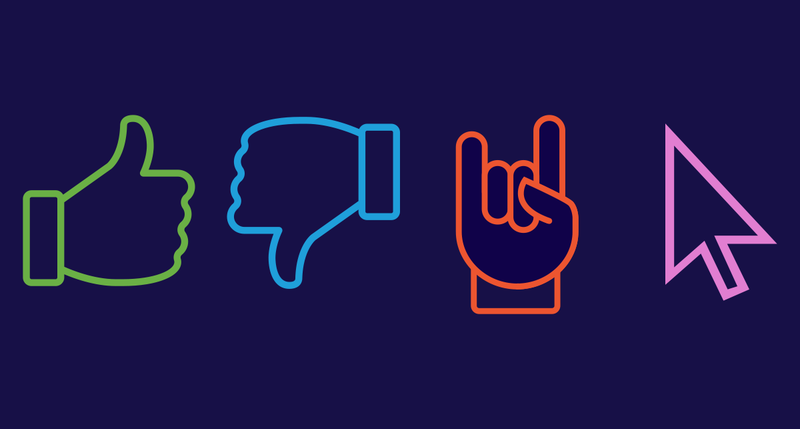 Share your experience and capture memories on Instagram and Twitter with #MidtownBright. Now in its sixth year, the Midtown Holiday Experience program continues to grow with the addition of more holiday lights and larger-than-life stars scattered throughout neighborhood. Looking to contribute to the holiday spirit? We’re encouraging property owners to add lighting to their building and street trees – adding a sense of festive unification as visitors take a walk down Peachtree Street. If you have larger ambitions for next year’s holiday season, the star adoption program is an opportunity to contribute on a grander scale. Downtown Decorations is currently offering holiday stars at a discounted rate to Midtown Alliance partners and members. This year’s deadline has passed, but get a head start on next year’s holiday displays and think of locations to decorate with stars. To learn more about the Midtown Holiday Experience program, and how you can get holiday stars on your property, contact our Program Manager, Lauren Bohn, for more information.